If you follow us on Instagram (Meredith: @meredith_haynes & Amber: @masseya) it's no secret that we totally dig our initial knot hats. Jude and Sloane were the first to expose this preciousness, and Jolie and Parker couldn't be without a set for themselves - bed rest for Amber & access to the world of Etsy did not bode well for the bank account. These little girlies still sport the same hats they wore when they came home from the hospital, 16 months later. It is safe to say that these hand stitched beauties from Cotton Cupcake Shoppe have amazing stretch (Jude and Sloane, and their rather giant heads, still wear their set at 17 months)! Not only that, the American Apparel organic cotton is so soft and the initials are the perfect size to stand out but not overwhelm your new babe's teeninsy little face. 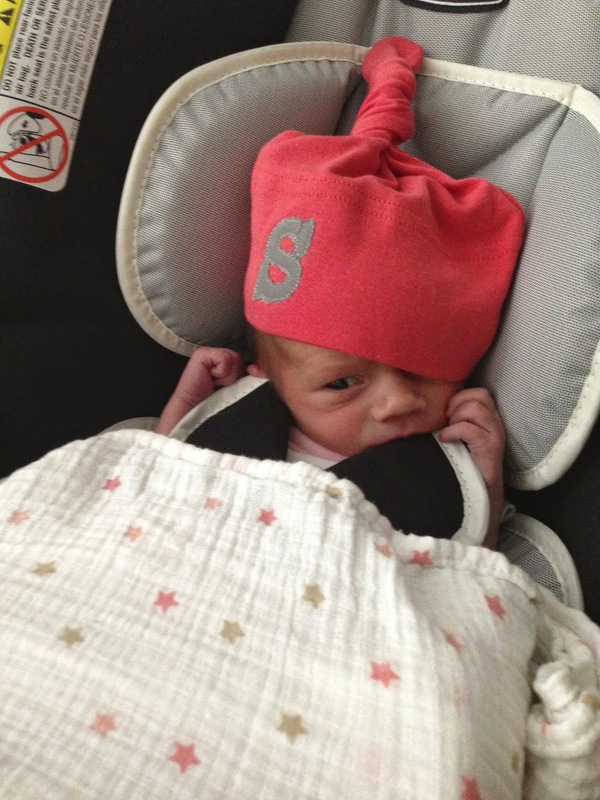 Every little baby should have one of these personalized hats. They will be something to hold onto forever--such a sweet keepsake. 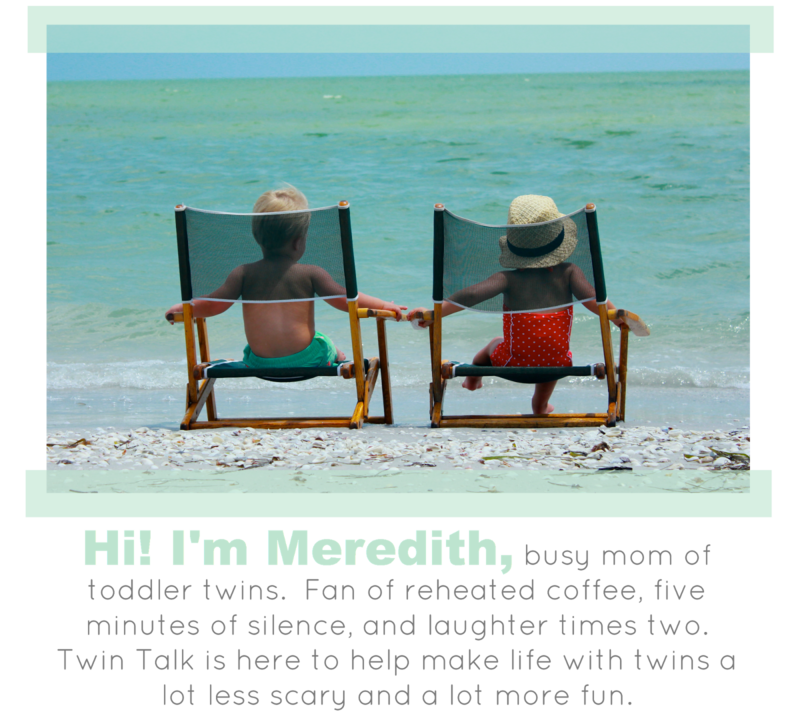 Because every sweet babe should have an item specially handcrafted by Amber herself, Twin Talk Blog was elated to know that Amber has offered up three sets of two personalized items from her shop. Amazing! Enter below for your chance to win one of those great prizes! Contest ends on Friday, April 11th at midnight. Winners will be announced on Monday, April 14th! So much cuteness on the Cotton Cupcake Shoppe. I especially love the little raccoon hat & the mustache hat. They all look so soft! I LOVE these hats and have been dying to get some for my daughter! Great giveaway! I would love the personalized onesies for my twin boys first birthday coming up on May 1st! I absolutely love everything personalized!! So cute!! What a cute shop! Love it! Love this giveaway!! I am always having a hard time trying to find cute hats to fit my babies;) I just started following your blog and I love it!! So cute! My babies come in JUNE! I would love this! Love the little initial hats. I can't wait to find out if our babe is a boy or girl! Those hats look so cozy, I wish I would have known about them sooner!! I Love the initial onesies!!!! Love love love! Etsy is a gold mine for cute stuff like this!! Definitely the knot monogrammed hats! Love! Oh man....LOVE all of these items!!! The single letter monogrammed knot hats with the polka dots on the letter are super cute! Also love the full length name with the arrow--so simple and sweet!!! <3 I'd to hav these for my baby girls that are on their way!!! OMG! These are so precious. My little baby in my belly would wear these all the time! Love the chevron stripe on the onesie! These are super cute! 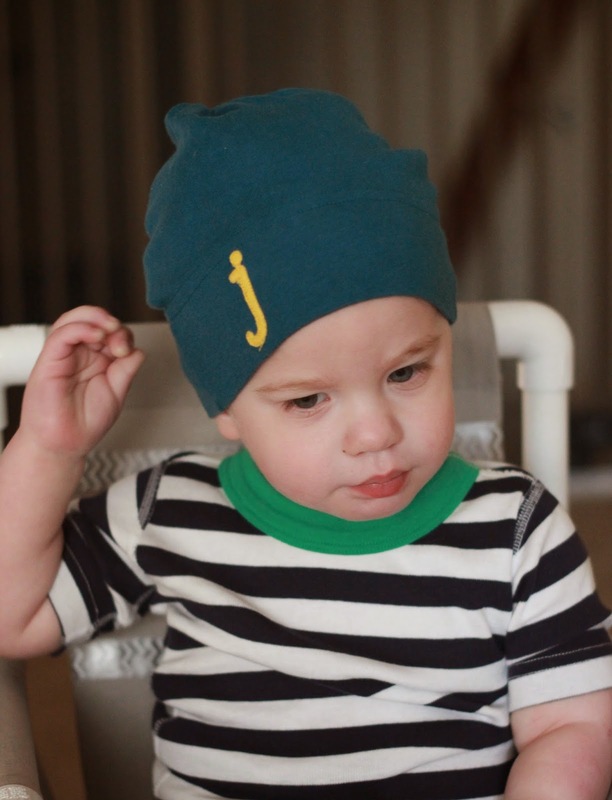 My twin boys would look so cute in the dark and light blue single letter monogram knot hats! I love the monogrammed baby knot hats!! So very cute! Thanks for letting us know about this great shop! Love this! Thanks so much for doing this giveaway! The cross my heart ruffle apron is adorable!!! Have been eyeing the custom monogrammed knot hats for a while now! Love! Love all! My favorite is the monogrammed onesie though! Love the hats, so stinkin' cute! They are a perfect idea for something matching for my girls while at the hospital. Need these cute hats for my twinkies! So sweet! So cute! Love the hats!! Knot hat is easily my fave! I love the monogrammed top knot hats! 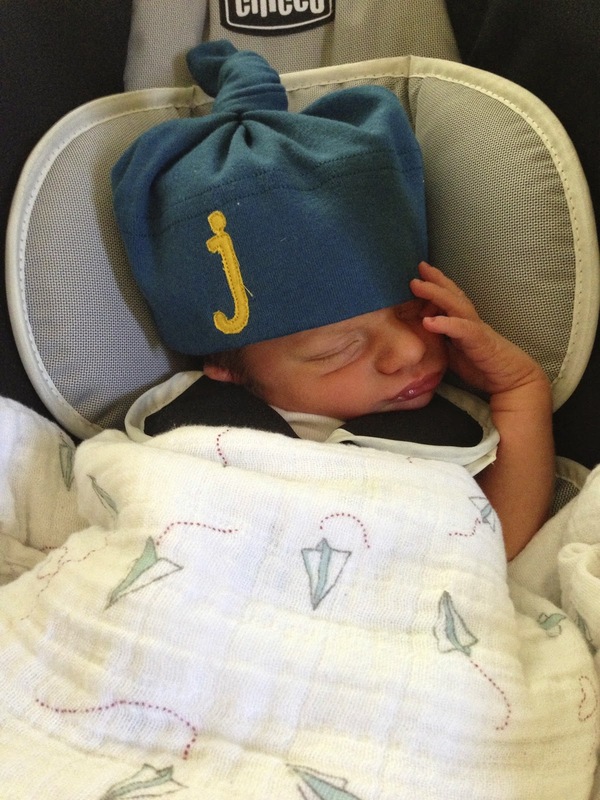 Love those little personalized knot hats! Love the top knot hats! Love these hats! They would be perfect for my twins! Love the monogram hats, so sweet. Oh man, everything is so adorable! I am love love lovinngg all of that hats! And here in PA hats are necessary pretty much all year long! I love the knot hats! Those would be perfect to bring the twins home in! The knot hats!!! NEED one for next fall/winter! Love those hats! So cute! I'm a mom of twins and we'd love to win! After two spring babies I'm so excited to have a little one in the fall so I can actually use little hats! Love these! I honestly can't choose what I like better. I have twin boys on the way and I think I would love the initial hats and the arrow hats. Both are so cute. And she also does matching hat/shirt combo. Not only would these be adorable for my twins but this would make a great shower gift for others too! I LOVE the arrow design! Hope I can get my hands on these! Such a great giveaway! I love the monogram knot hats!!! Great giveaway, girlies!!!! 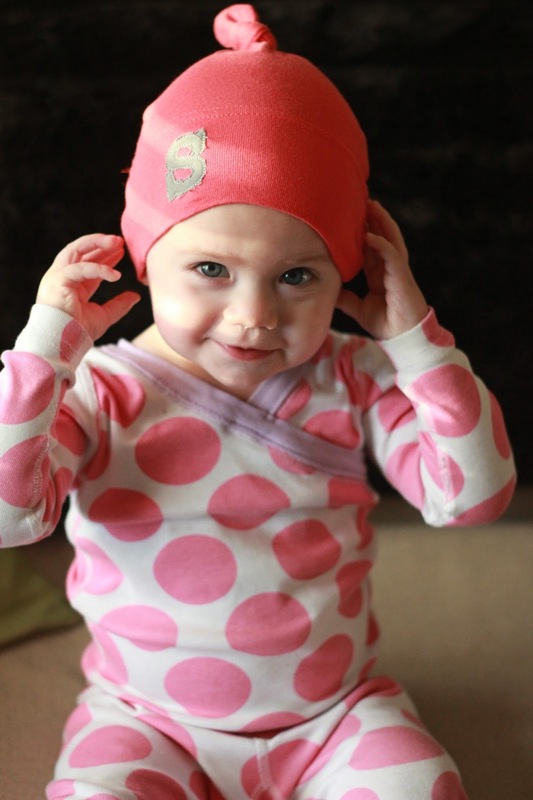 You littles look adorable in these hats! A winter MUST have! I think my favorite are the initial hats, though her entire shop is darling! Thanks for the chance! The entire shop is just adorable, but I think my favorite is the asphalt grey knot hat with the flower. Just adorable!!! I wish I would have had those adorable hats with my 14 month old! Expecting twins this fall!! Love the knot hats! The monogram knot hats are so cute! I've been eyeing these hats since I stumbled across Amber's blog a few weeks ago. Then this afternoon I found Meredith's, and ultimately ended up here. I am having twins in the fall, and I adore the initial knot hats as well as the arrow ones. Really, I like anything personalized! Oh my gosh so adorable! I am so jealous I didn't have twins although I'm sure it is a ton of work.